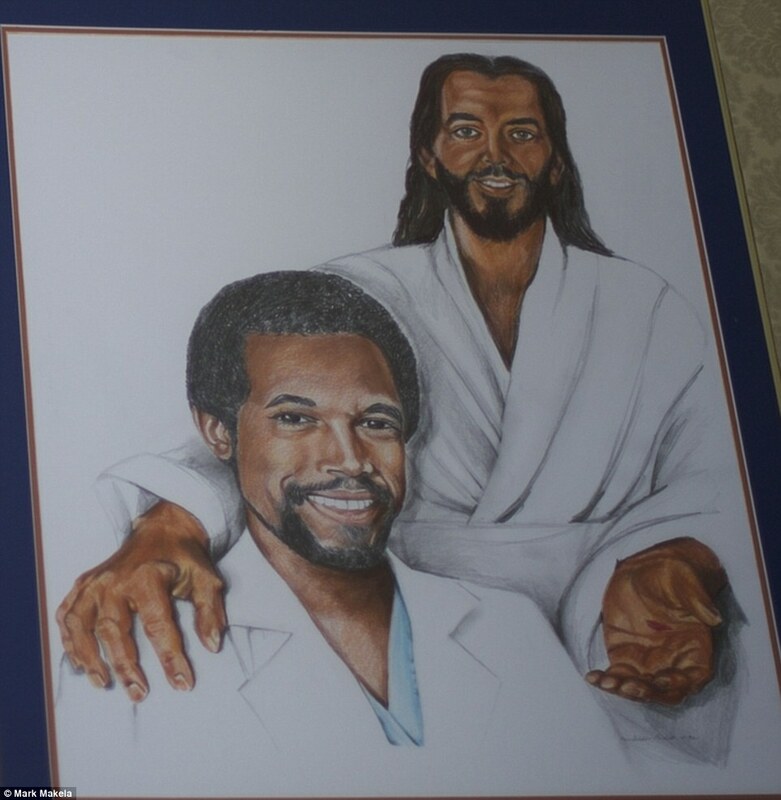 Read the Daily Mail, Inside Ben Carson's eccentric Maryland mansion - complete with a shrine to himself, gold leaf columns and a portrait WITH Jesus. UPDATE: After Carson's odd claims of violent behavior as a young man, CNN interviewed "nine friends, classmates and neighbors who grew up with the retired neurosurgeon say they have no recollection of violent incidents that Carson has claimed, including fights and an attempted stabbing." Later, Carson's campaign admitted that "Carson’s application and acceptance into West Point — a key part of the inspirational narrative of Carson’s rise — was fabricated." Read USA Today, Ben Carson admits fabricating West Point story, report says. And don't forget "Carson flat out lied about his relationship with a shady nutritional company." Could the Chosen One actually be the Great Deceiver? "In his various autobiographical and self-help books, Ben Carson writes of occasions in which God helps him, protects him and looks out for him, sometimes unsolicited, usually in direct response to prayer. Carson, a neurosurgeon and the current front-runner in the race for the Republican presidential nomination, invokes his mother’s teaching — 'If you ask the Lord for something and believe He will do it, then it’ll happen' — and sees the influence and intervention of the divine in his medical work and other aspects of his life. " Read the Washington Post, 11 times God intervened directly in Ben Carson’s life, according to Ben Carson. Read also the Washington Post, Ben Carson’s striking ignorance, which notes that "Carson has changed his Medicare plan from “End Medicare” to a new version that doesn’t make any sense. He refuses to acknowledge that his tax plan would force trillions of dollars in spending cuts to reach the balanced budget he wants, partly because he or his advisers appear to have no idea what does and doesn’t get taxed. (For example, Carson’s calculation would include taxing all government spending, including defense.) And he has confused the budget and the debt ceiling. Those are just some of the specifics he has actually talked about — even the conservative Heritage Action says he needs to release more detailed plans. We haven’t even touched on his many offensive comments about women, the Holocaust, Muslims, gays and so on.